We ask YOU to help us make our community a safer place to live and work. Please consider making a donation to our program right now by clicking the link below. Over $613,000 has been approved in rewards since 2014. 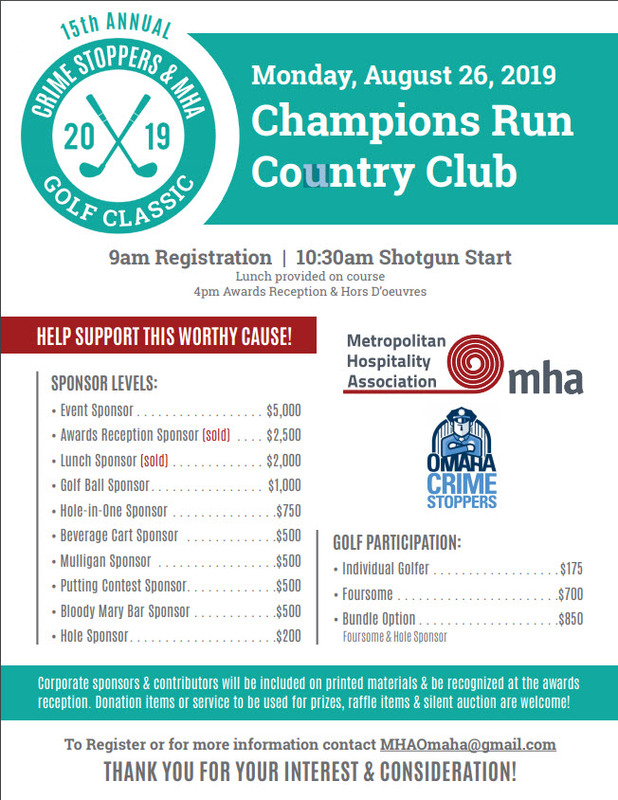 Omaha Crime Stoppers encourages members of the community to assist local law enforcement agencies in the fight against crime by overcoming the two key elements that inhibit community involvement: fear and apathy. Crime Stoppers provides a telephone number, web tips and even a mobile app to encourage citizens in the community to volunteer vital information helpful to law enforcement agencies to fight against crime. We try to make it easy for you to get us the information safely. Callers WILL REMAIN ANONYMOUS and are eligible to receive a cash reward if the information given leads to an arrest.